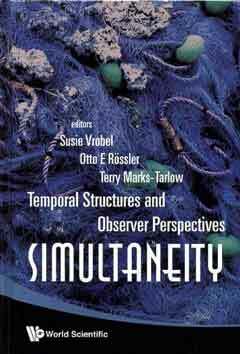 This book presents an interdisciplinary approach to the question of how observer participant perspectives are generated, what constrains them and how they may be modified. These questions are of vital importance and must be addressed in any discipline before formulating a hypothesis or designing a model about reality. Both epistemological questions about the nature of temporal nested structures and practical applications of our ability to contextualize are discussed. The resulting temporal observer participant perspectives reflect approaches to the concept of simultaneity from the viewpoints of philosophers, logicians, cyberneticists and systems theorists, mathematicians, psychologists, medical practitioners, physicists, educationists, economists and musicologists. Although the main focus is on the cognitive sciences, as constraints to observer perspectives arise primarily from this field, the book will appeal to researchers of all disciplines and interested layman readers. Contents: Observer Perspectives: Epistemological Background: Fractal Time: Extended Observer Perspectives (S Vrobel); Mirror Neurons: Evidence for the Great Simulator and Vrobelism (O E Rössler); Brain Time and Physical Time (U Fidelman); Identifying Temporal Observer Perspectives: On Time Experience in Depression (H M Emrich et al. ); Ordinate Logics of Living Systems (J L R Chandler); Utilizing Fractal Time (T Marks-Tarlow); Disentangling Temporal Simultaneous Contrasts: Relativity of Scales: Application of an Endo-Perspective of Temporal Structures (L Nottale & P Timar); A Review of Flicker-Noise Spectroscopy: Information in Chaotic Signals (S F Timashev & Y S Polyakov); Modeling Common-Sense Decisions (M Zak); Synchronization: Computer Simulations as Hidden Time-Ecologies (G Koehler); Anti-Flaring: How to Prevent the Market from Overheating (A P Schmidt & O E Rössler); Endonomics: Looking Behind the Economic Curtain (A P Schmidt & O E Rössler); and other papers.